Alternative and Southern rock fans, pay attention! 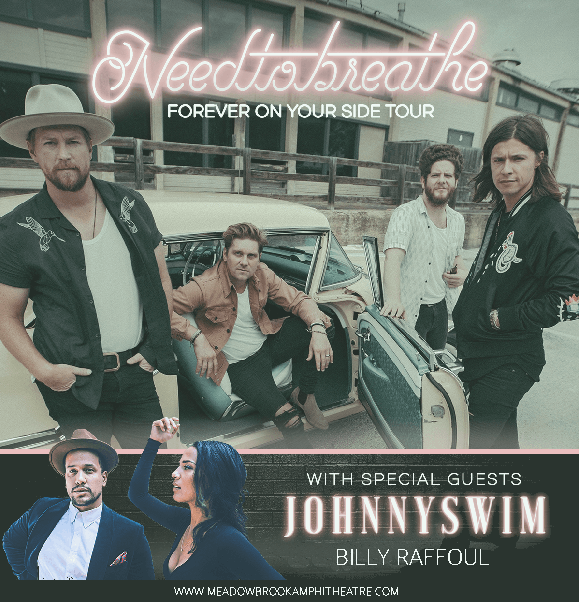 Needtobreathe are headed across the US in 2018 with the “Forever On Your Side,” tour, with special support from Johnnyswim & Billy Raffoul! Thereʼs so much anticipation brewing at Meadow Brook Amphitheatre for this awesome show on Tuesday 14th August 2018!! Get your tickets quickly while they last!! Get ready to hear some all new songs and listen to the latest single below if you haven’t done so already – and be quick about getting those tickets!